It’s the start of a new year on the oceans, and this one promises to be legendary. Start the year out right by recruiting a magical new crewmate. 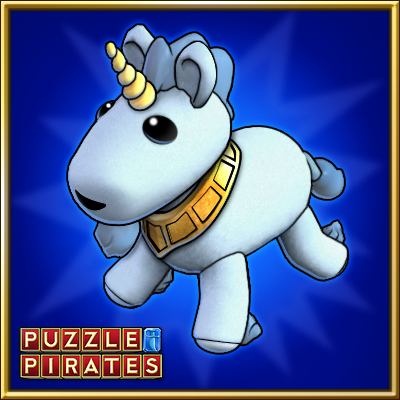 Own a subscription that runs through January, or make a purchase of $9.99 or more this month to receive a Unicorn Plushie to make yer crew’s wishes come true! Yer New Year's resolution is to spend more time pillaging? We got ye covered. Earn the January Seal o'Piracy by participating in 10 sea battles against brigands, and 10 sea battles against barbarians. Pilligin’ more is one resolution a real pirate can keep. Three winters ago, an unfathomable (albeit adorable) EVIL arose in the frozen north that threatened to engulf the ocean. The return of the dread seal king A'uk was narrowly stopped through the combined bravery of pirating folk and the spirits of a lost race of warrior penguins. Hark! Evil once more rears its sinister head! The seal-sorceress X'ukara, mother of A'uk, has risen from the snows to punish the realm for her son's imprisonment. She has once more called forth the legions of A'uk to wreak her vengeance! Arise ye pirates and embrace yer inner penguin! The fate of the very ocean hangs in the balance! The competition ends on Wednesday, January 2nd. From now until 3:00 PM PDT on January 2, 2018 you'll receive a free Booch Box for every $9.99 you spend on doubloons, or every month of subscription time you purchase! For more information about the full contents of the Booch Box, as well as the official rules, please click here. After plunder, there’s one thing a pirate wants to have after a long sail on frozen seas, a feast! At this time of year, nothin’ complements a pirate feast like a side of cranberry (apart from rum, but that’s a given). Unfortunately our shipment of cranberry sauce hit rough seas and covered some of our Gold Boxes. In celebration of winter and our unfortunate shippin’ accident, the Department o' Treasury has wrapped December’s Gold Box with festive items designed to celebrate the season. 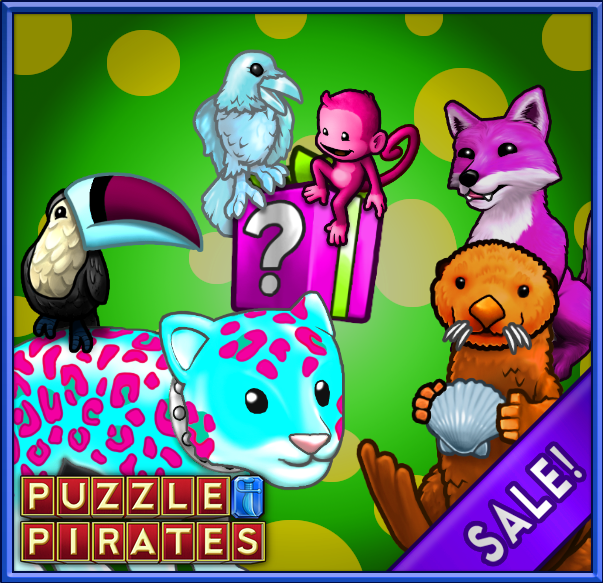 These berry merry boxes are stuffed full of goodies like Merry Macaws, Merry Molluscs, Polar Pandas, and Winter Waddlers. Find Gold Boxes at yer island bank until December 17 at 3 PM PDT. Get the full list o' plunder right here. Given their propensity to get distracted by something shiny, pirates aren’t always known fer being the wisest foe. Own a subscription that runs through December, or make a purchase of $9.99 or more this month to receive a Owl Statue to give ye advice. Bonus, these feathery things are also a hoot at any gathering. 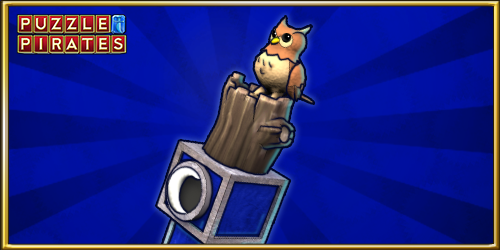 Don’t cry owl, ye can still earn those shinies even if ye don’t listen to advice. 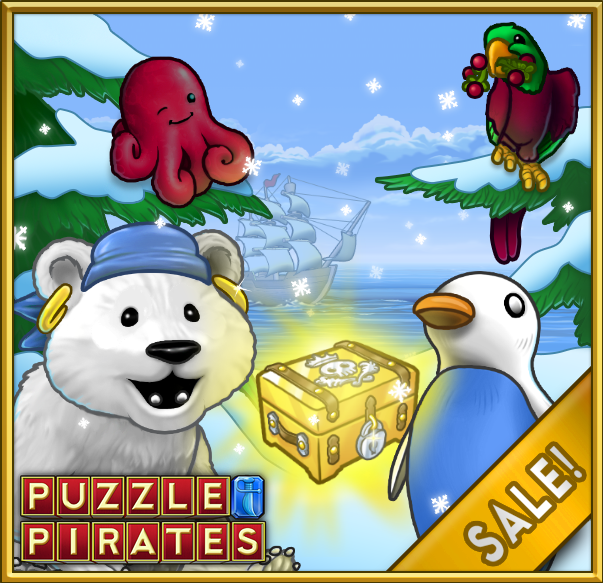 Earn the December Seal o'Piracy by completin’ 5 different duty puzzle sessions. Keep in mind, navy sessions do not count fer this seal.